Nowhere was the division between the East and the West more noticeable than Berlin. Following Allied victory in 1945, the United States, United Kingdom, Soviet Union, and France divided Berlin into four military occupation zones. Throughout the Cold War era, the Federal Republic of Germany fought to maintain control over West Berlin, although those sections of the city remained isolated from Western Germany. Conversely, East Berlin quickly became the capital of the Soviet-aligned German Democratic Republic. By 1961, a towering, concrete wall physically divided a Berlin already partitioned on ideological lines. Less than a decade after construction on the Berlin Wall began, the former Allies commenced discussions reevaluating the status of Berlin. The resulting Four Power Agreement on Berlin did not alter the status of the city’s occupied zones, but it considerably improved travel and communication between the Eastern and Western sections. 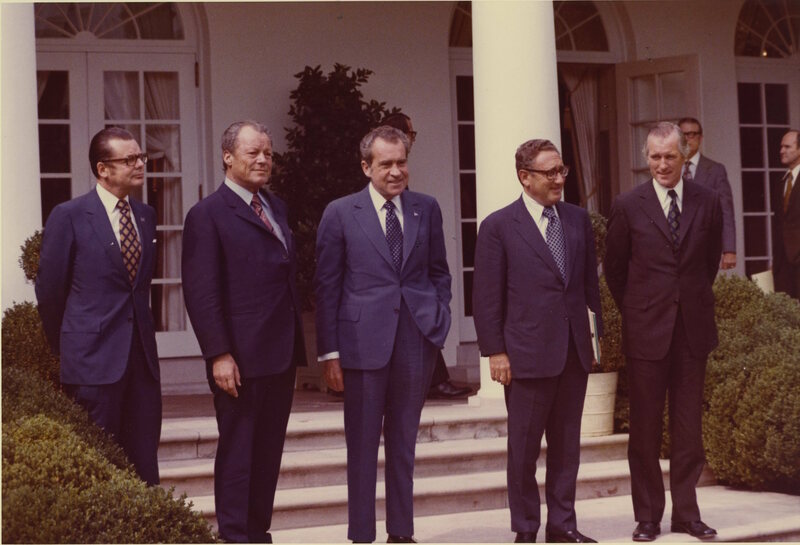 U.S. Secretary of State William Rogers signed the agreement on September 3, 1971, along with the British, French, and Soviet foreign ministers. 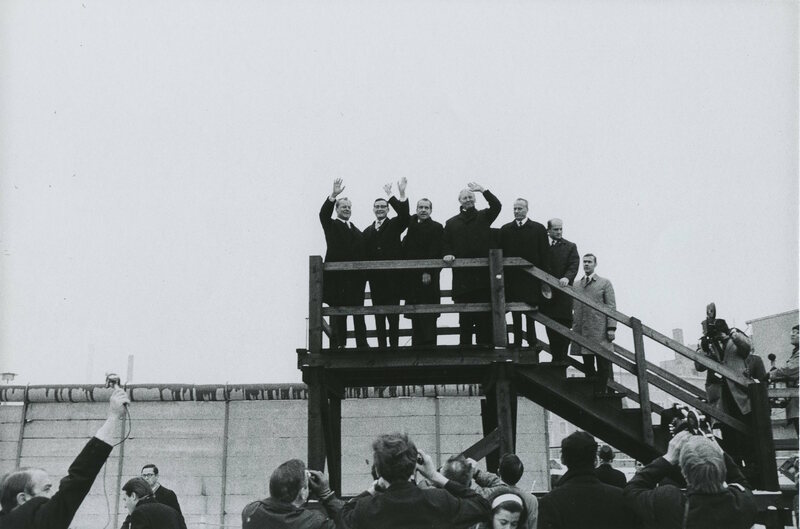 The Four Power Agreement was, in some ways, a continuation of President Nixon’s policy of détente with the Soviet Union, as well as West German Chancellor Willy Brandt’s Ostpolitik approach to the East. Upon assuming power in 1970, Chancellor Brandt undertook the task of normalizing relations between the two German states. 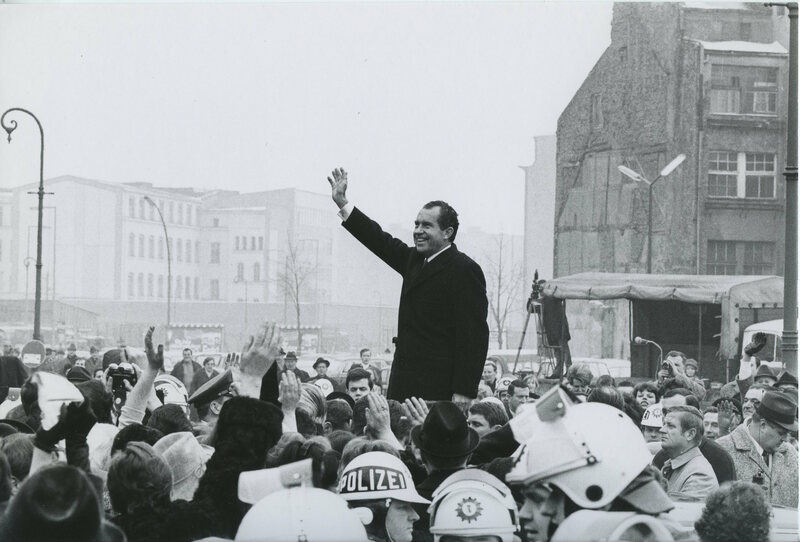 While Ostpolitik worried some American foreign policy experts, who felt the approach legitimized the existence of communist nations and weakened the West, the Nixon administration supported FRG efforts to ease tensions with East Germany. As members of the National Security Council, Henry Kissinger and Helmut Sonnenfeldt continually monitored developments between the FRG and GDR to secure American interests abroad, especially when related to the Soviet Union. Chancellor Brandt’s Ostpolitik and President Nixon’s détente were not identical methods of dealing with Eastern Europe and the Soviet Union. However, the two leaders both sought to alleviate hostilities between the East and West with peaceful policies. In reasserting the steady status of Berlin, the Four Power Agreement allowed for further negotiations between East and West Germany, and the United States and the Soviet Union. Essentially, the agreement allowed for further advancements of Ostpolitik and détente by setting Germany on the path to reunification and clearing the way for productive negotiations between the United States and the Soviet Union.